Emma Rex shares results from the recently completed research project Adapted decision support for increased energy efficiency in value chains. Join this webinar if you are curious about how to work for life cycle information to gain importance in the operational activities; if you want to learn more about how to implement life cycle information with large impact on decisions. This is also a perfect occasion to discuss your experience with other professionals. Many businesses of today now recognize the need for a life cycle perspective to guide company actions, in the selection of suppliers, in the strategy of new product ranges, and, in what information is chosen to be highlighted to the customers. However, while availability of data and understanding of the life cycle concept as such continues to grow, there is still inertia in life cycle information having practical implications on decisions and actions throughout the everyday work in the company. This seminar presents results from a project aimed at a better understanding of companies’ internal uses of life cycle information. Examples of barriers and enablers for increased impact of life cycle information are given, and a process to ease implementation throughout the company is discussed. There will be time for questions and discussion after the presentation. HOW: Online meeting with Skype. Join the meeting with your computer or phone. Login in details to the webinar will be sent to all registered participants before the meeting. 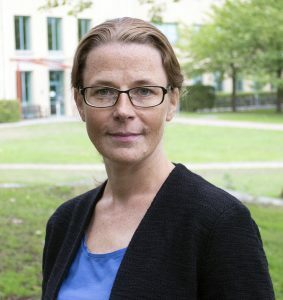 Emma Rex is a researcher and Group Manager at RISE Research Institutes of Sweden in areas such as decision support, life cycle thinking, and circular economy. Emma has a PhD in Environmental Systems Analysis with focus on how life cycle perspectives are used and integrated in industry. She was the Project Manager of the project Adapted decision support for increased energy efficiency in value chains. Register below no later than November 20.